First, I’d like to thank all of the PCOs who elected me Chair by acclamation at the reorganization on January 11th (my late mother’s birthday). It is an esteemed honor to serve as Chair of one of the strongest LD organizations in Washington State. The challenges ahead are daunting and will require more of all of us. Rest assured that I and the new Executive Board are already hard at work preparing to make the 34th even stronger, better organized, more representative of the population we serve and even more effective politically so we can meet those challenges head on. Many of you were at the Hall at Fauntleroy on November 9th when I announced I would run for Chair, less than 24 hours after the most catastrophic election in U.S. history. I didn’t have a prepared speech, but I spoke to you about my 14 year-old twins and how this was the first election they’d really paid attention to, how that morning my daughter Anya woke up, grabbed her phone to check the results and sat in bed and cried. It was heartbreaking as a father, and as I struggled to figure out how to explain why and how this had happened I realized I couldn’t because I didn’t understand it myself, but what I could do was show how we respond when everything we care about, democracy, civility, equity and even life itself are threatened: and how we respond as Democrats is we stand up and fight! Developing a plan: What can we do here in the 34th to resist? Despair, like doing nothing, was not an option. I got to work developing a plan to realize the full potential of the 34th. I started with our PCOs because I knew anything substantive we hoped to accomplish depended on our PCOs, who are the most important part of an effective Democratic party. So, drawing on my previous experience as 34th District Captain for the Neighborhood Leader program of the Obama ’08 campaign, I came up with a plan to recruit a PCO for every precinct, to build a precinct committee in as many precincts as possible, to build a structure to support our PCOs including 12 PCO Area Coordinators, and to ask our PCOs to engage in their precincts not just at election time but on at least a quarterly basis. I also resolved to personally participate on the PCO Committee and in its activities. But would our PCOs be willing? I started calling PCOs to introduce myself and these plans, and to let them know that if I was elected we’d be asking more of them than we ever had before, and what I found was remarkable. Everyone I spoke with realized that we all need to do more, that business as usual is no longer enough. Not a single PCO pushed back – not one. Out of those conversations I began to get a sense of hope that we could rise to this challenge. That hope has grown stronger every day. While those conversations with PCOs were happening, the beginnings of a new Executive Board started to come together. A handful had stepped up by the last meeting of the outgoing Executive Board in November. In early December I got the outgoing Board and candidates for the new Board together at my home, and after that started meeting weekly with the candidates so we’d be prepared to hit the ground running. I’m thrilled with our new Executive Board. Many of you had the opportunity to hear from each of them on January 11th, and I’m confident you’ll be as thrilled with this Executive Board and their work as I am. As we’ve worked together my hope and confidence have continued to grow, and I’ve no doubt at all we’ll accomplish great things here in the 34th, and beyond. I absolutely love them, they look great on our new website and other digital communications. I really appreciate the clean, modern design and I hope you do too. First, this is NOT Donald Trump’s America, and the Republicans have NO MANDATE for their draconian agenda. Trump received only 46.1% of the vote, Republican House candidates received 49% of the vote, and their Senate candidates received just 42% of the vote. The approval rating for the new “President” is at 37% – a historic low, and the approval rating of the Republican Congress is just 13.8%. Even Republican gerrymandered districts can come into play with numbers like that. Second, despite Hillary Clinton’s hopeful words after the election we no longer owe Mr. Trump a “chance to govern.” That goodwill quickly evaporated as this administration began shaping up to be nothing more than a fascist kleptocracy, a threat not just to beloved programs and policies, but to our republic itself and to the future of life on this planet. We owe them NOTHING. Accordingly, there will be no ‘honeymoon’. As Democrats we will fight to block or delay every one of his unqualified and corrupt nominees. We’ll organize and fight to defeat every piece of draconian legislation. We’ll lose many of these battles, but we’l win this war for our nation’s future. Here in the 34th, we’re already hard at work recruiting PCOs for every precinct, building an infrastructure to support them, and reaching out to the 31st and 45th LD organizations to see how we can help them win the special elections in their districts later this year so we can take back our State Senate and finally meet Washington State’s paramount duty and fully fund our schools. Please stay tuned, we have great things in store. Our first program, on February 8th, will focus on resistance and what we can do locally to resist the Trump agenda and support communities marginalized by Trump’s policies. Among the confirmed participants are the ACLU of Washington and the West Seattle chapter of the newly formed Seattle Neighborhood Action Coalition, members from Seattle Indivisibles, and the founder and Executive Director of the American Muslim Empowerment Network. It should be quite a program, you won’t want to miss it! The road ahead won’t be easy, but it will be rewarding, and we will win. I am interested in getting involvrf, and wonder if any one in your group is going to go to the local offices of Cantwell and Murray tomorrow for Resist Trump Tuesdays. Also, when and where do you have your meetings? I live in Burien. Hi Sheila! We’d love to have your help. Some of the best ways to do that are by organizing your neighborhood and becoming a PCO. Also, if youve got any ideas about how to make the party more effective, get in touch with one of our committee chairs! Our next monthly meeting is on Feburary 8th at Fauntleroy Hall 9131 California Ave SW. It will be about building effective Resistance to the upcoming administration. Find out more here. Great start! 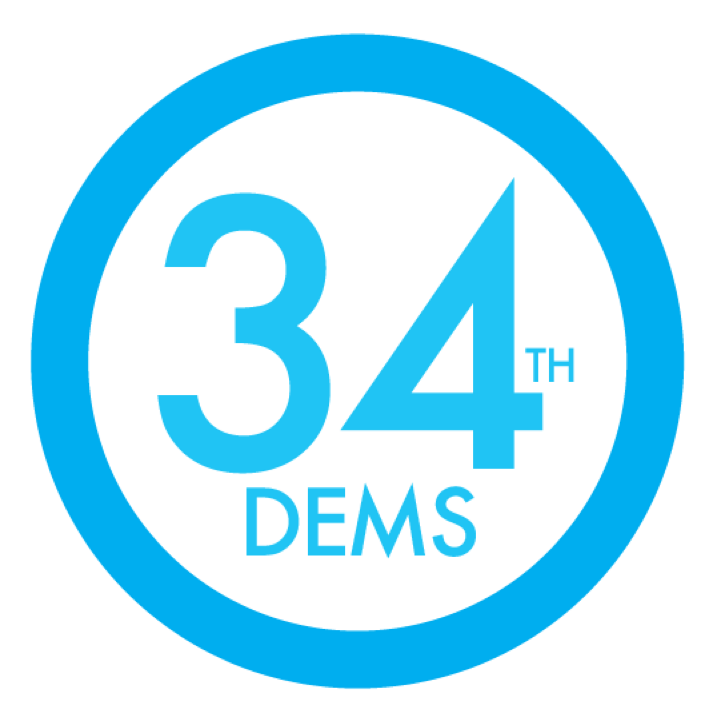 I have experience in fund-raising and would like to be on the committee that raises money for the 34th LD. Who do I contact ? Hey Lynne! That sounds great! If you’d like, you can go to the Fundraising Committee to sign up to help out! Feel free to check out the other committees too and sign up for whatever sounds interesting! Congratulation on the election although I was not able to attend the meeting because of mechanical failure I am glad that you won I like your ideas and will begin to attend the meetings to show my support. Thank you Jose! I look forward to seeing you at our meetings and working with you, our other PCOs, members and volunteers to build the most effective Democratic Party organization in the state. We’re well on our way, and together we will win. See you on February 8th! We are hoping to make it on the 8th – haven’t been involved in the past but Mr. Ginsberg’s rousing words and thoughtful program agenda have inspired us to make the effort. Thank you Michael, we look forward to seeing you on the 8th! Hi Dave, I’m interested in talking with you, and members of the 34th LD about my campaign for Port Commission Position #4. How best to reach you?